Kvareli Gvirabi, near Kvareli (Georgian: ყვარელი) in Khaketi region, is Georgia’s largest wine cellar – 7.7 km of tunnels and galleries that maintain a constant temperature of 12-14 degrees C and 70% relative humidity all year round – perfect storage conditions for wine. 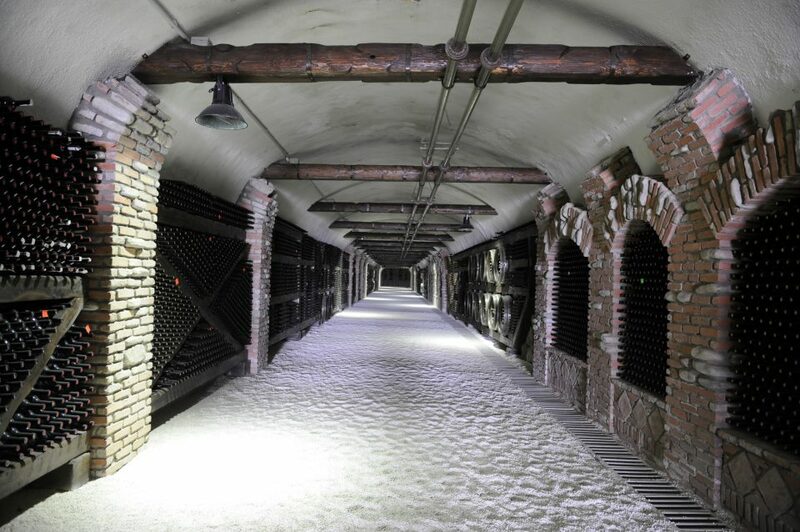 Originally built for military purposes during the Cold War, the tunnels (gvirabi) were purchased by the Winery Khareba (Georgian: მეღვინეობა ხარება) who restored them and use them to store and age about 25,000 bottles of its wine. 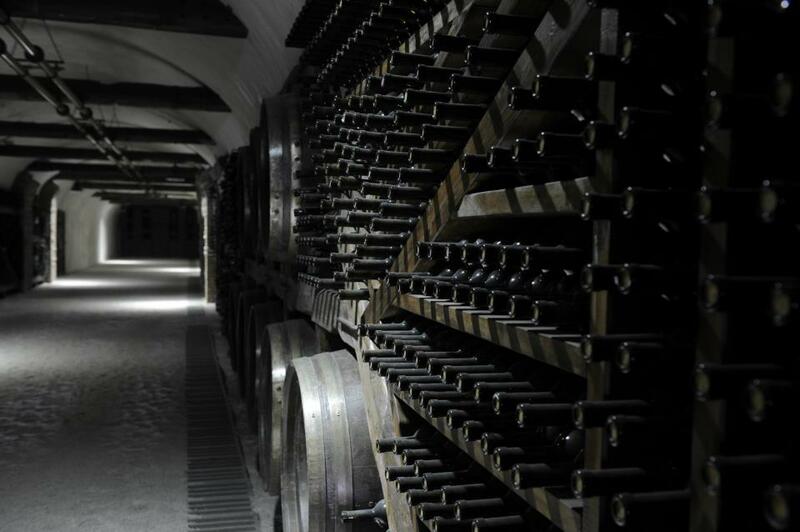 Winery Khareba wine stored at Kvareli Gvirabi. 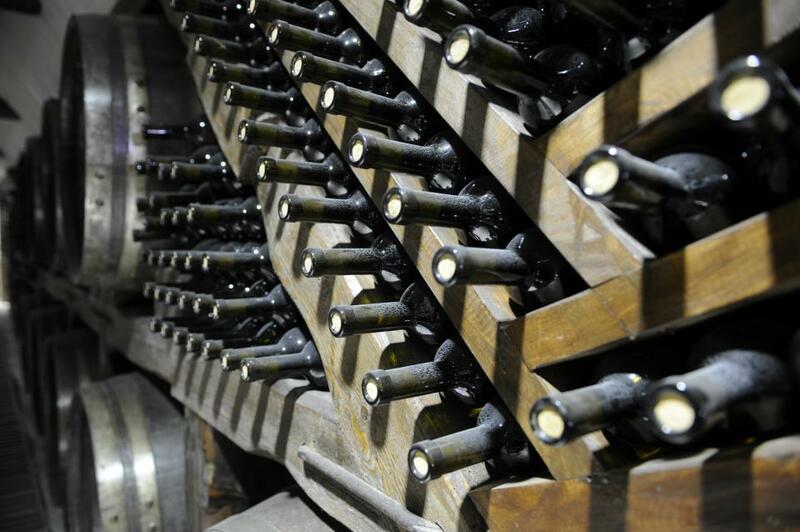 Photo courtesy of Winery Khareba. The complex consists of two main tunnels linked by 13 smaller galleries 500 meters long. 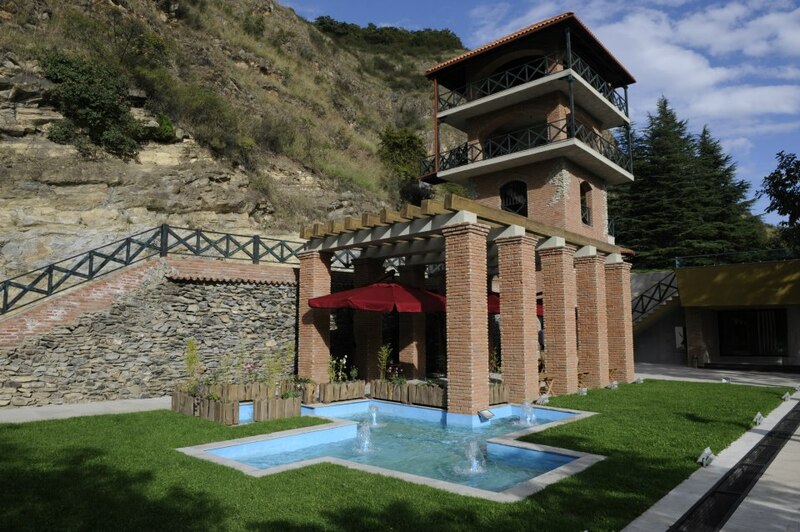 In 2011 the Winery Khareba Tourist Complex was built at Kvareli Gvirabi and offers visitors the opportunity to learn more about wine and to taste the wines. 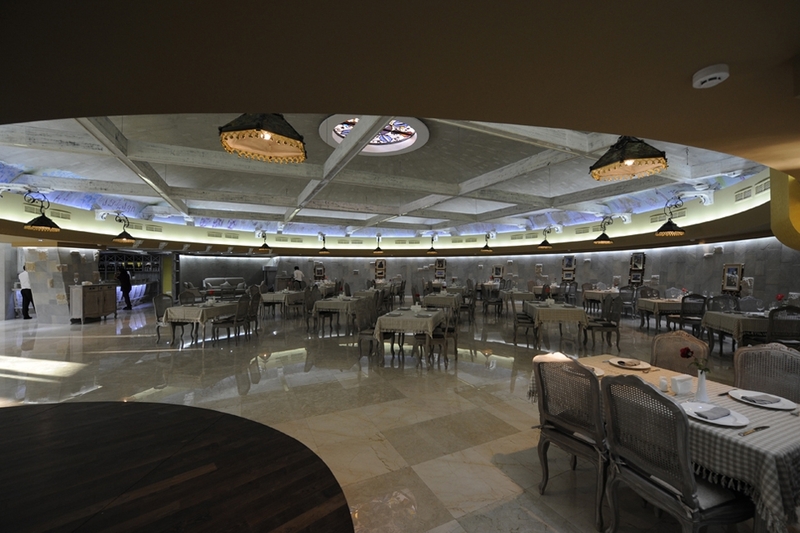 The complex has an excellent restaurant, café and beautiful landscaped grounds. 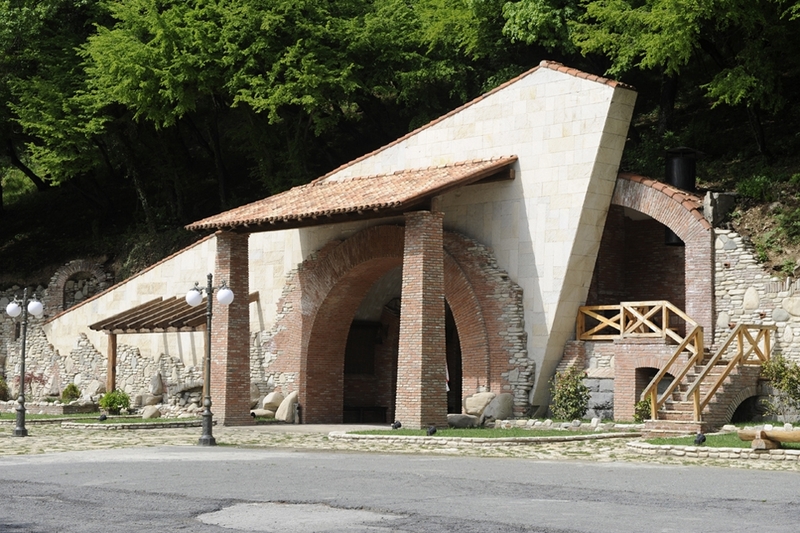 Part of the Winery Khareba Tourist Complex at Kvareli Gvirabi. Photo courtesy of Winery Khareba. 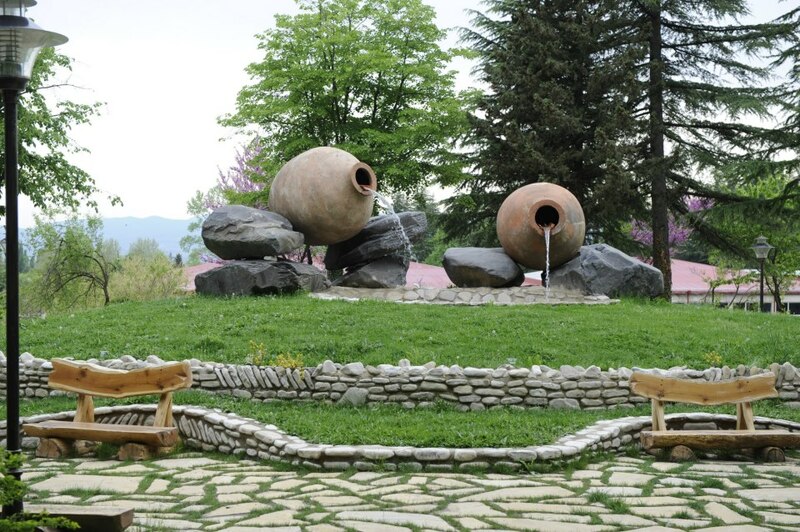 Landscaped grounds of the Winery Khareba Tourist Complex at Kvareli Gvirabi. Photo courtesy of Winery Khareba. 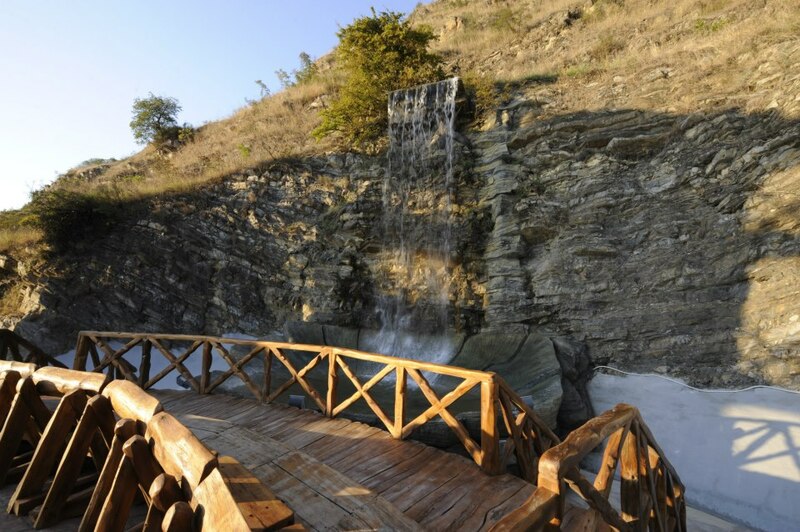 Waterfall at the Winery Khareba Tourist Complex at Kvareli Gvirabi. Photo courtesy of Winery Khareba. How to get there? Kvareli is 150 kilometers from Tbilisi. Kvareli Gvirabi is 5km east of Kvareli. Entrance to Kvareli Gvirabi. Photo courtesy of Winery Khareba. How much does it cost? 3 GEL for a tunnel visit. 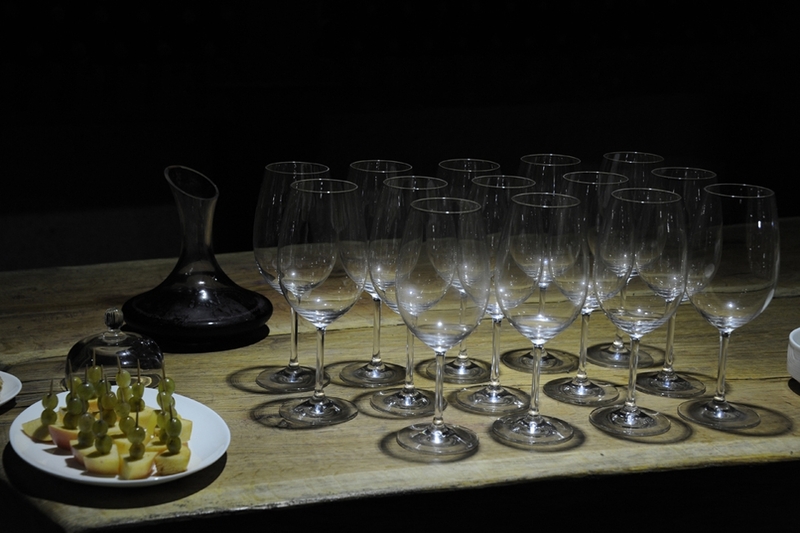 10 GEL for a tunnel visit + wine degustation. 35 GEL for a tunnel visit + wine degustation + baking Georgian bread, tasting chacha and making churchkhela. 70 GEL for a tunnel visit + superior wine degustation + baking Georgian bread, tasting chacha and making churchkhela. 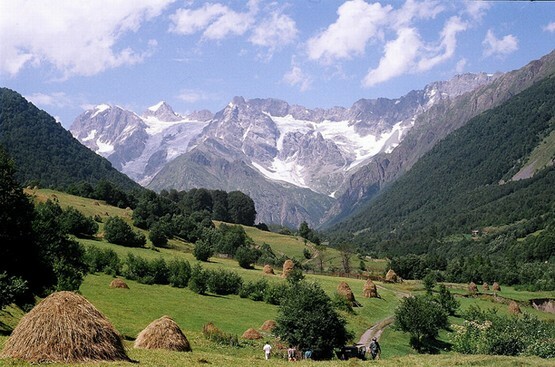 Georgia About recommends a visit to Kvareli Gvirabi!